There are multiple socket types used in Rwanda (C / J). 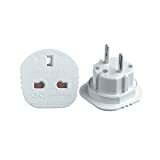 Type C is the most commonly found so a UK 3 pin to type C adaptor should allow you to connect your appliances in many cases. 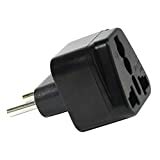 If you want to be sure though a better option may be to invest in a worldwide adaptor that is a single unit capable of connecting to multiple socket types. 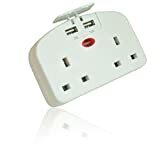 Voltage - The mains voltage in Rwanda is 230 V which is compatible with all UK appliances (UK voltage is currently specified as 230 V +10% / - 6%). Frequency - The frequency in Rwanda is 50 Hz which is the same as the UK.